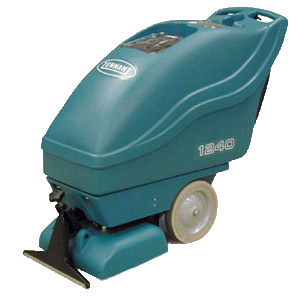 The TENNANT 1260 is an electric carpet extractor. The polyurethan body is dent resistant and corrosion proof which maximizes the lifespan and durability of the unit. The TENNANT 1260 features large wheels for easy manuverablity and a compact design for small locations.